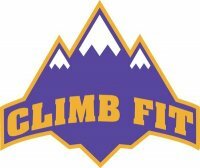 Climb Fit is located just 10 minutes from the city in St Leonards and is recognised as Sydney's largest indoor climbing and gymnasium facility. The centers 'no fuss' gym, offers a personalised service allowing you to be a part of a happy, fit, family where helpful staff guide you towards your health and fitness goals. The gym holds a number of different classes throughout the week, there are over 160 climbs perfect for indiviual or group use and suitable for all fitness levels.